International Vault's pre-assembled armory building is equipped for deployment in any area where high security storage of weapons, classified information, or equipment is necessary. Geared for military and police use, this six-sided vault unit is the only pre-assembled Modular Armory Building in the world with a GSA approved AA-V-2940 rating. It leaves the factory in one piece, ready to be dropped into place, powered, and used immediately. Our pre-assembled armory offers significant reliability and ease of access for weapons and ammo storage, as well as classified secret storage. Our pre-assembled armories offer significant advantages over similar structures made from steel. Our concrete weapons magazines have at least twice the usable life of their steel counter parts. Concrete used in armory construction continues to harden over the life of the unit, increasing intrusion resistance as time progresses. Want to learn more about how the Pre-assembled Modular Vault, Armory from International Vault could be the right choice for your application? Contact us today or call us at 1800 465 656. 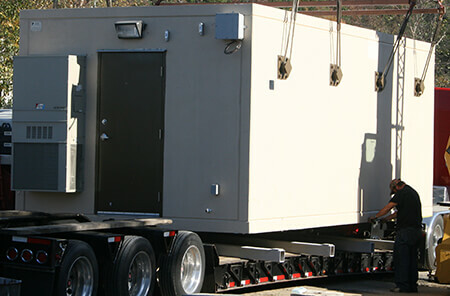 Modular armory buildings are relocatable and can be transported around the world for use by military and other personnel. 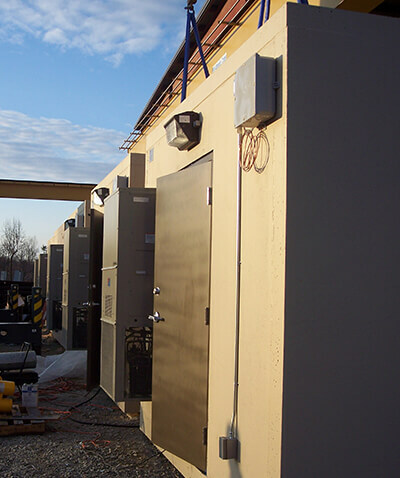 Our pre-assembled armories contain insulated panel walls and HVAC climate control to allow for use in any climate, including desert and other harsh geographic environments. To learn more, Contact us today for more information.